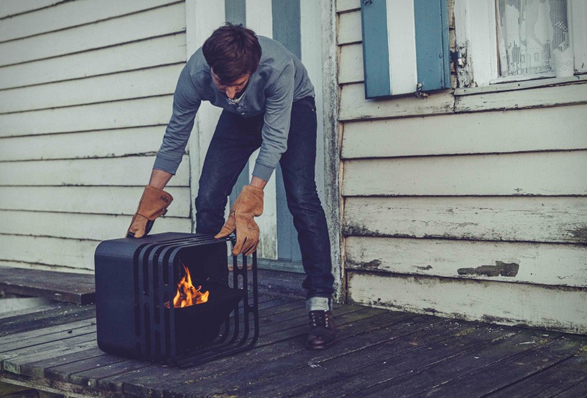 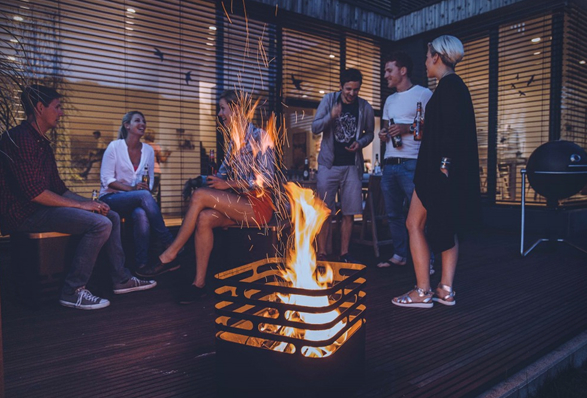 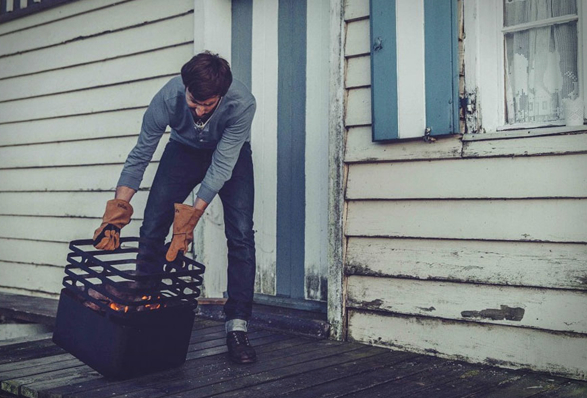 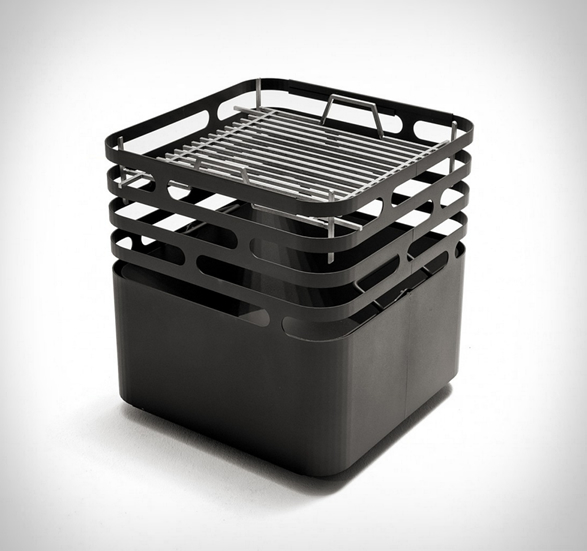 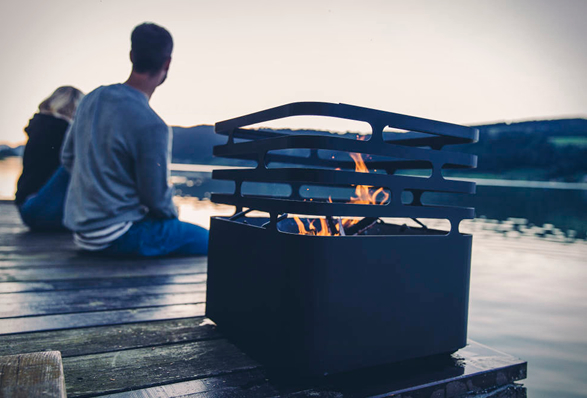 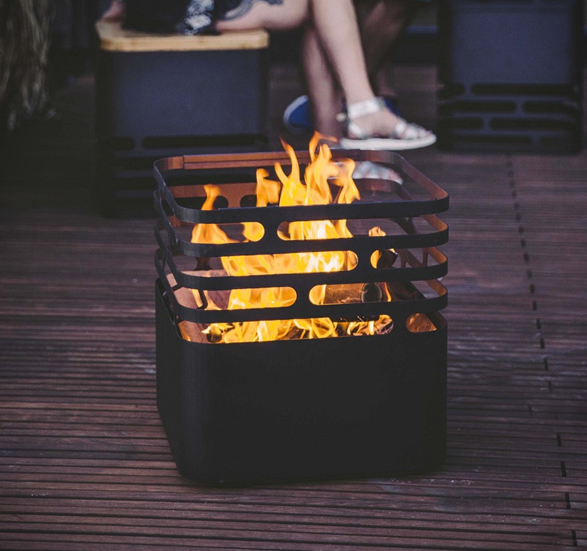 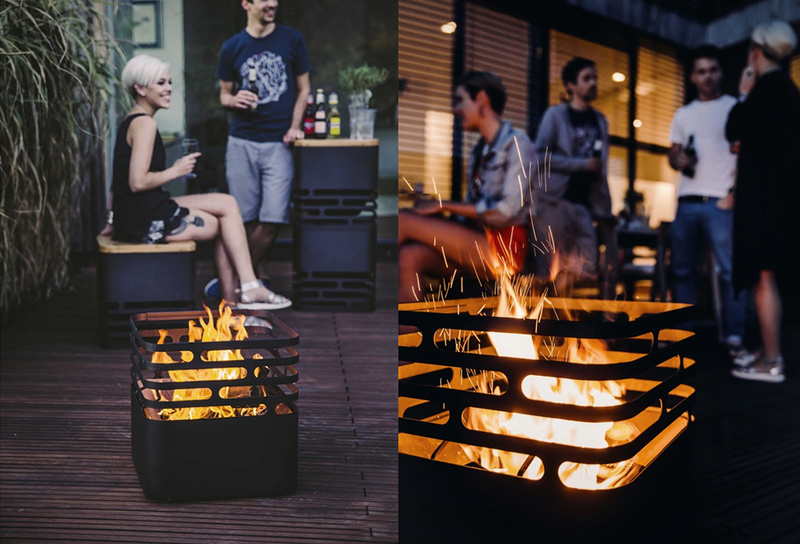 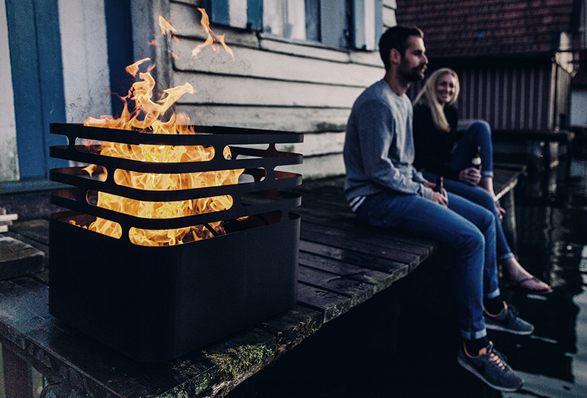 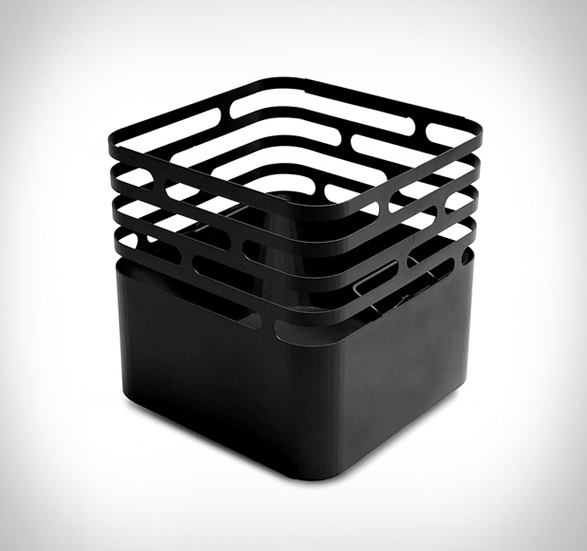 The Cube Fire Pit by Hofats, is a great solution for entertaining in your backyard, a sleek stainless steel fire basket that not only looks good, it is said to be extremely safe, thanks to a special design that keeps the firebowl always in balance by means of gravity. 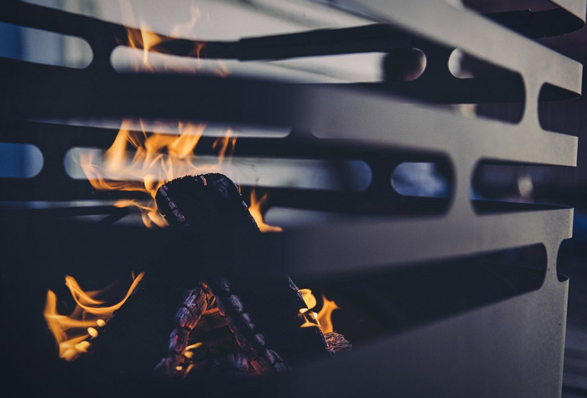 If you want to extinguish the fire, simply flip it around and the fire goes out. 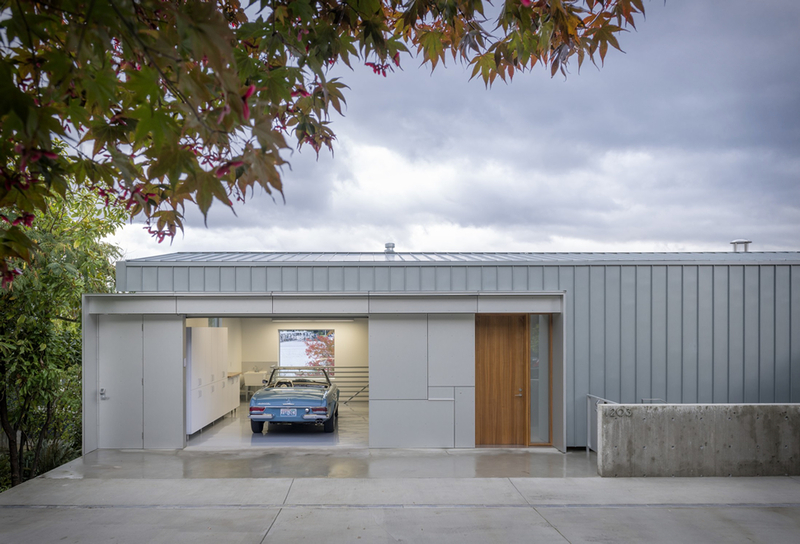 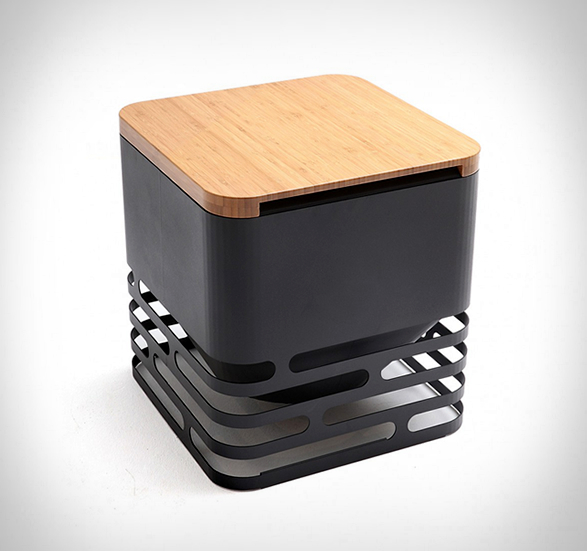 The Cube also has a matching cooking grate, and a beautiful Oak board for when not in use, allowing it to double as a stool, bench or side table.